A pair of machine sewn adult-sized gloves with high, wide gauntlet-style wrist cuffs. 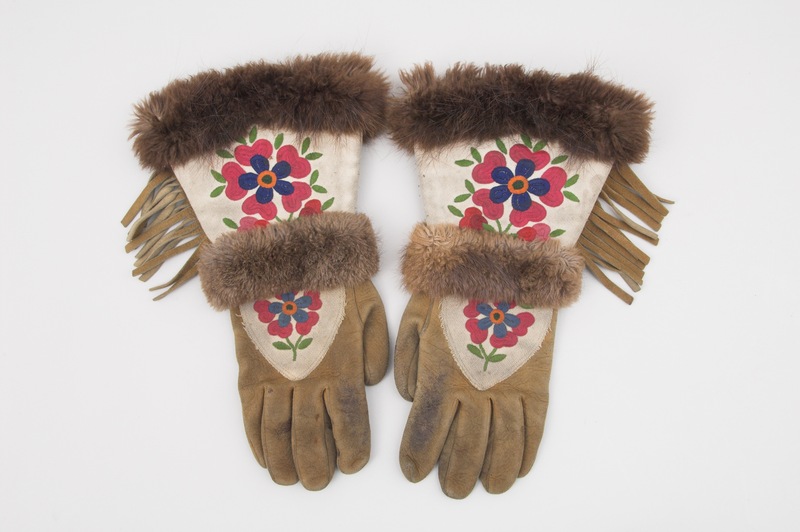 Made from smoke tanned moose hide with a decorative patch of white stroud, floral embroidery, and beaver trim. The gloves were made by Jane Horassi for her husband Gabe Horassi. Her generation believes that their men should be dressed well.